This post in the third in a series on home electronics upgrades I’ve considered. In 2003, Beyoncé put out her first solo album, Arrested Development premiered, Peter Jackson released the third of his Lord of the Rings films, and I last bought a television. 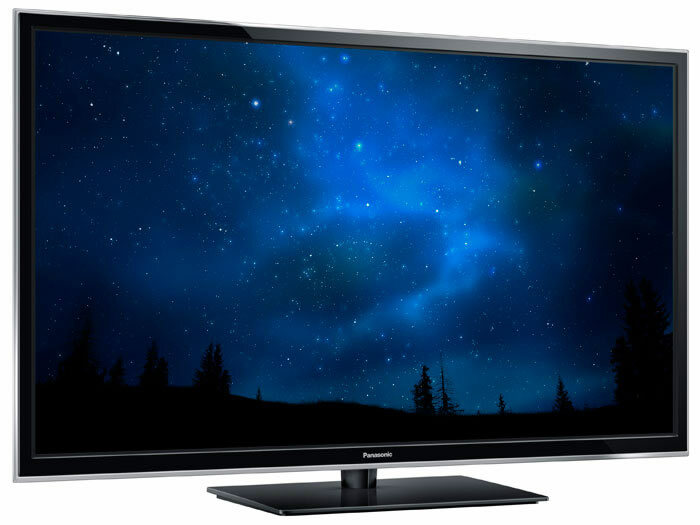 It was one of the first HDMI plasma TVs, a Panasonic 42″, and has been a trusty companion over the years. It still works fine; it fits perfectly into the TV cabinet I built around it; and 1080i is pretty good for most things (it doesn’t even have 720p). But the combination of a great experience I had watching the super high quality 1080p episodes of Breaking Bad from iTunes on my Retina iPad, plus $650 burning a hole in my gadget pocket, pushed me over the edge. Why I chose it: I knew I wanted plasma because of its picture quality and viewing angles. I’ve heard lots of positive things about the mid-range Panasonic ST series. In April, CNET published an adulatory review calling 2013’s ST60 its strongest TV recommendation ever. That got my attention. Around the same time, The Wirecutter (which has fast become some of my favorite reading) published its own review recommending the ST60 as the best TV. Even dowdy Consumer Reports got into the game, identifying the ST60 as its top rated “Best Buy”. The confluence of opinions from specialist sources and Consumer Reports is usually a great indicator for me, so I was pretty interested. When we moved into a new home a few years ago, I built a custom cabinet around my old 42″ plasma. So size mattered — any new TV would have to fit. I got out my measuring tape and headed over to the Panasonic website looking for detailed dimension sheets. The 55″ ST60 appeared to be just the right size with about 1/4″ of room to spare vertically and about 1/2″ on each side. Things I didn’t care about: The collection of streaming video services (I use my Apple TV for everything). 3D (belongs in the graveyard of mediocre Hollywood ideas, not in my living room). 4k ultra-HD (it’s not worth the huge price premium to me; I’ll wait until there’s content). Lag (I just don’t play enough games). Other silly features of this TV (voice control? electronic touch pens?). So I headed on over to my go-to dealer for my electronics habit (Amazon.com) and ordered the 55″ Panasonic VIERA ST60 (model TC-P55ST60). First impressions: Amazon’s delivery service is great. I picked a 3-hour window for delivery when I placed the order, and everything went just according to that plan. As I cut open the box, I was pretty nervous about whether it would fit, wondering in my head what the return procedures were like for such a big purchases. Happily, though, it measured to spec and fit right in our custom cabinet. There wasn’t much room for my fingers (e.g. for pulling it out to pivot it on our built-in swivel stand), but otherwise it was perfect. I spend a few contented hours that night re-wiring everything in my cabinet. I loved ditching the rat’s nest of component video plus digital audio and replace them all with a few thin HDMI cables from Amazon. I also did a quick calibration, turning off the obvious things like Motion smoother, Sharpness, overscan and running the THX calibration app for iOS. The video quality was a huge step up from my prior plasma. The blacks are incredibly black. The colors were beautiful, perfectly matched and consistent. 1080p is, believe it or not, a big difference from 1080i and seeing the Apple TV interface as well as the glorious 1080p video from iTunes is great. Even the HD television broadcasts I’ve been used to — like the NBC evenings news — were markedly different, much more vibrant and crisp even to my wife’s eye. Watching some brooding, dark final episodes of Breaking Bad was a treat. Surprises: The little things about the Panasonic experience were positive. The remote control was usable, with buttons with differentiated sizes and colors and a logic to the whole thing. And while the Panasonic business team managed to sneak in some irritating features like banner ads on the startup screen, the Panasonic product team did a nice job of making it possible to turn them off. Up next: A new AV Receiver?